Ian Wright said the criticism Alex Iwobi has received from Arsenal fans is ‘unfair’ and ’embarrassing’. The Nigerian forward squandered a good chance to extend Arsenal’s lead and was jeered by some fans, as he left the pitch late on. “The stick Alex is getting – on a regular basis now – is really unfair. It’s really unfair on a player who is trying to progress,” Arsenal legend Wright said. “People are almost waiting for him to make a mistake so they can give him stick. Get behind him! He’s a young Arsenal player. Do you know how hard it is to break through at Arsenal? You get there and our fans can’t wait to give him stick – what has happened to us? “What has happened to Arsenal fans? We need to reset and get behind the boys again. Especially people like Alex. He needs it more than anybody now. 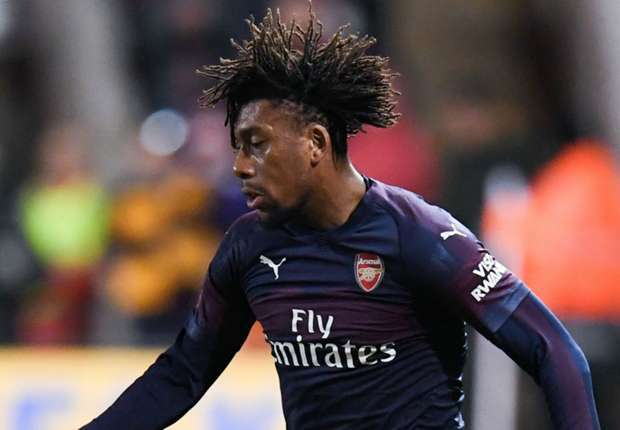 With 12 games of the 2018-19 campaign remaining, Iwobi had already enjoyed his best return in a single season for the Gunners. After netting the opener against Huddersfield, Iwobi had now hand a hand in ten goals in all competitions. Speaking after the win, manager Unai Emery said: “Good victory and good work; today I think our work was very good. “We didn’t win away from home in a long time and we are closer to the top four.